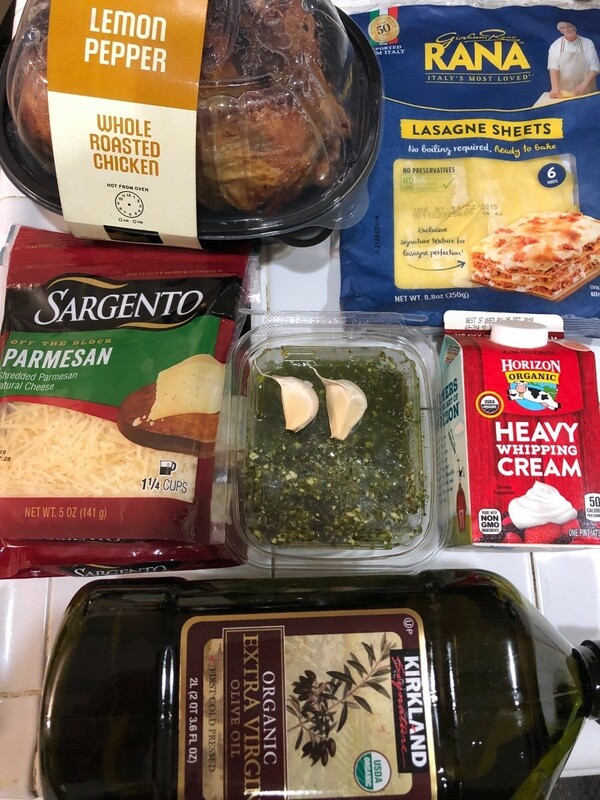 Buying rotisserie chicken is an inexpensive and fast way of having lunch or dinner. In our household we always have left overs and this is one option you can do with some left over chicken for a quick lunch or dinner! You do not have to use rotisserie chicken, but you can use chicken breast, thighs, to re-create this dish. If you already have store bought roasted chicken like I do, shred. 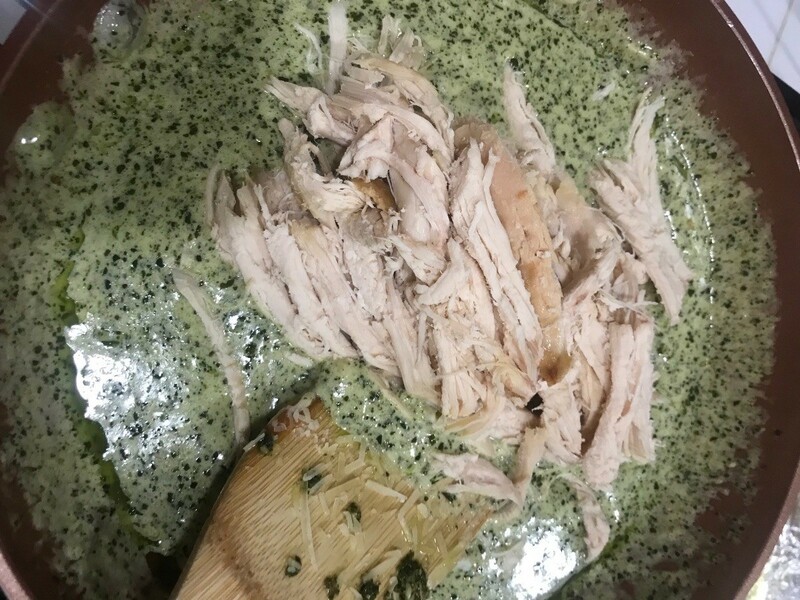 You can opt to use homemade chicken cooked as well. 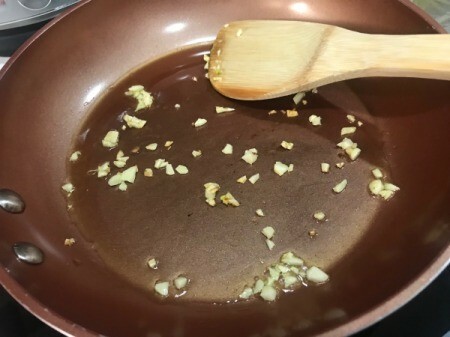 Into pan on medium high heat, add olive oil (or butter) and minced garlic cloves. 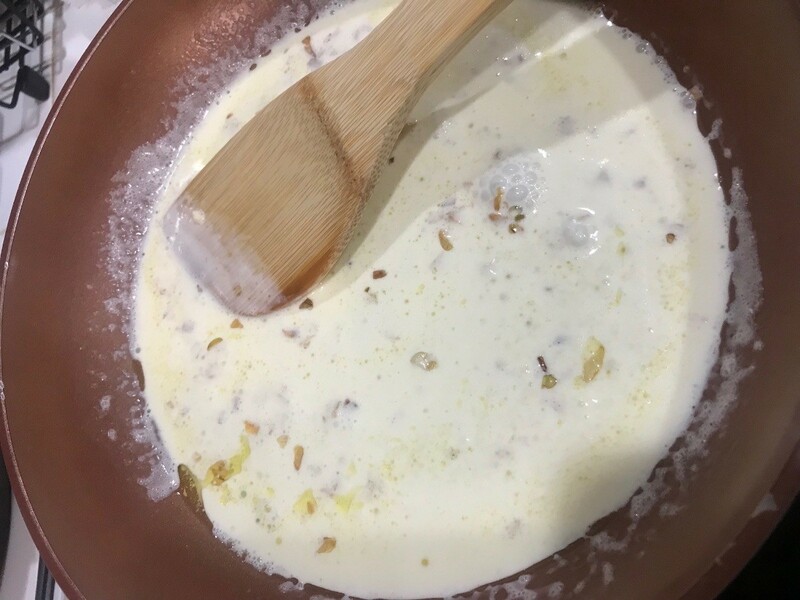 Pour heavy whipping cream in and stir. 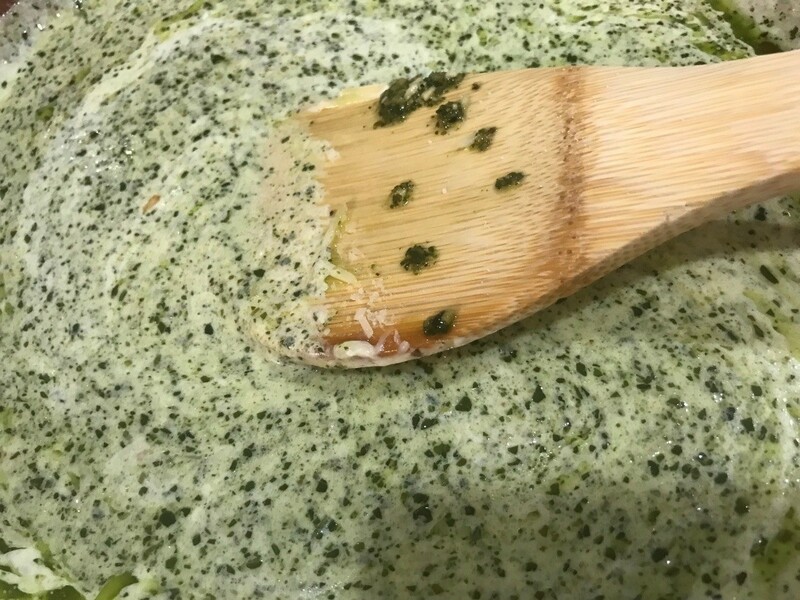 Stir in pesto and parmesan cheese. 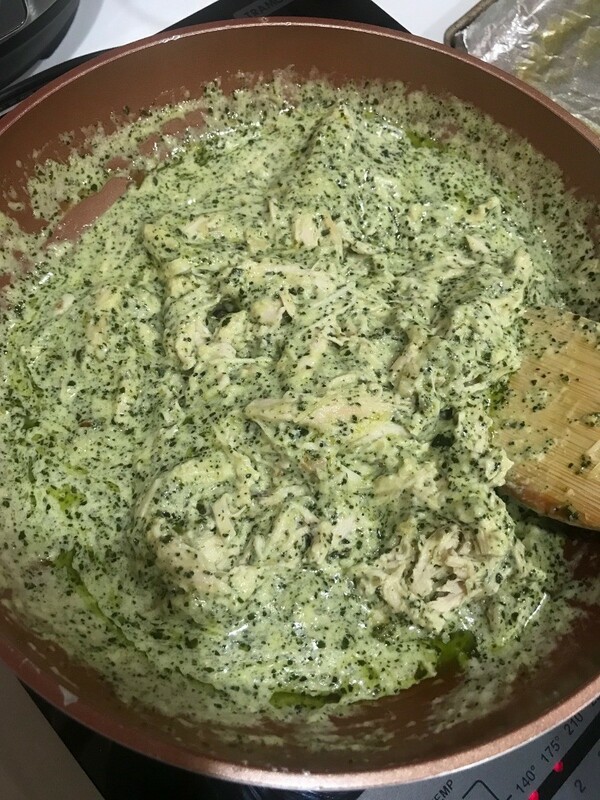 Toss in shredded chicken and coat all the chicken with the creamy pesto. Get a baking pan (I used my toaster oven) line with foil and spray lightly coat of oil so it won't stick. 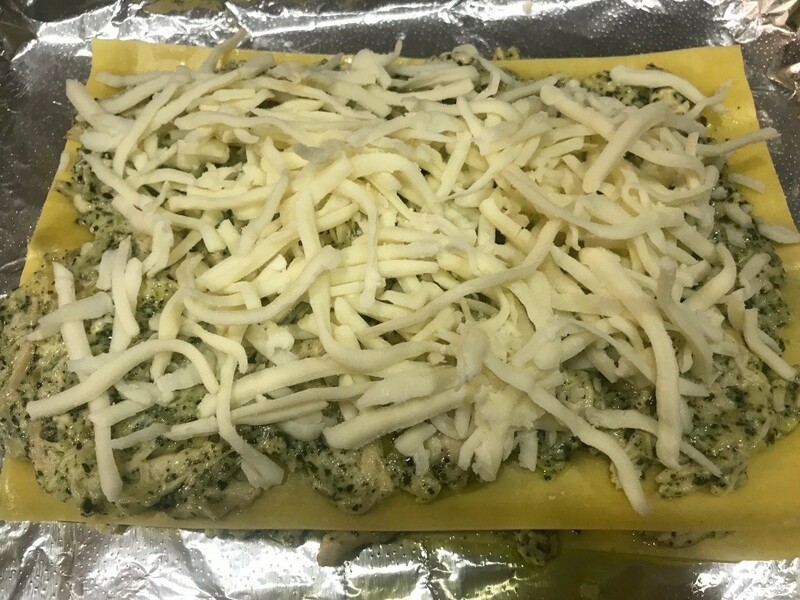 Add a lasagne sheet down. Scoop enough from creamy chicken pesto mixture over the lasagne sheet. 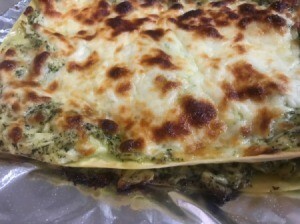 Then, add another lasagne sheet and chicken mixture and top off with mozzarella cheese. In total, I have 2 layers. 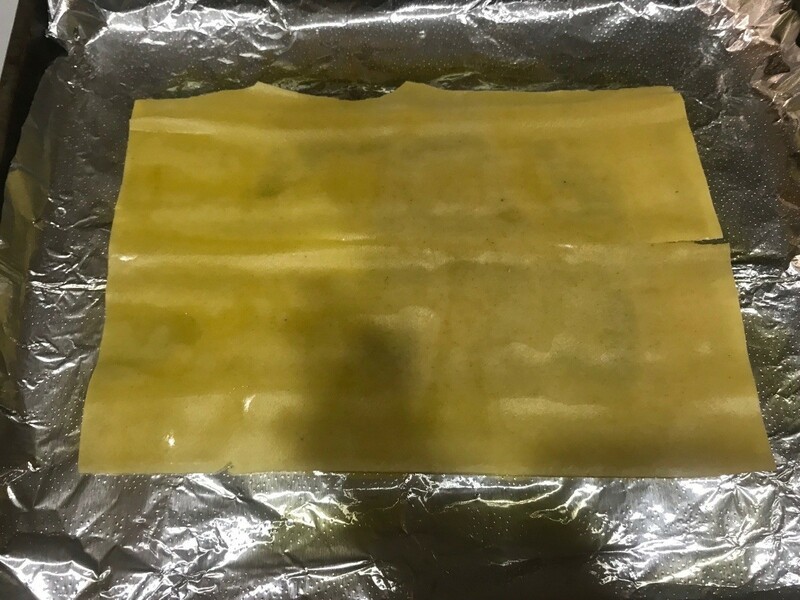 Ready to bake. I baked at 400 F. for 10 minutes. Time may vary depending on your oven.